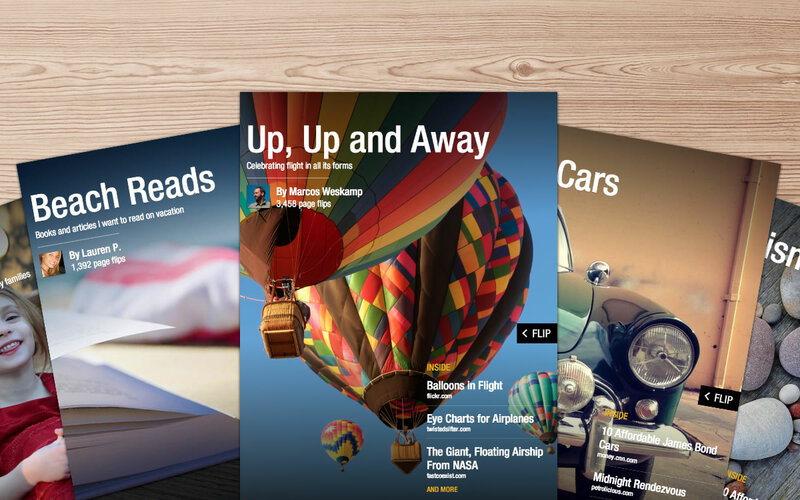 Flipboard recently rolled out version 2.0, which is being billed as a revolution for digital publishing. Its 50 million users can now cherry-pick articles from Flipboard and port these to collections of their own sharable magazines, pretty much in the same vein of the user-curated online news platforms Paper.li or Storify. And clearly, users are in favor of the custom-curation, because the numbers don’t lie: Within just 24 hours of releasing version 2.0, Flipboard has seen 100,000 magazines created, reports Mashable. The news of the feature’s rapid adoption was announced by Flipboard’s partner of strategy and development, Paul Katz, at the Magazine Publisher Association conference. To recap, the magazine feature is fundamentally a bookmarking tool. Users can save articles and curate their own magazines, creating as many as they’d like. And the magazine can be shared publicly or saved privately if you intend to simply use it as a bookmarking feature for returning to articles later in the day. As an added bonus, users can bookmark articles that aren’t found on Flipboard or social networks like Facebook, Twitter, Instagram, SoundCloud, LinkedIn, and Tumblr. With a new bookmarklet button that you can pin onto your Web browser, users can pull articles from just about any source from the Web. Note that the bookmarklet is only available on desktop browsers. The business of custom curation has proven to be a big one. Blogs like Tumblr and even the post-pivot Flavors.me (since acquired by Moo) preceded the recent tide of apps that are turning anyone with Internet access and an email account into a Web publishing. We’re seeing the system democratized before our eyes, and it’s both a struggle and boon for more traditional Web publishers. On one hand, the consumer participation is giving us more content to pour through and source – and on the other, it’s making the old guard media somewhat trivialized.